DICE also discusses what they learned in the recent beta and what changes will be coming. Battlefield 1 is coming in one month, so if you have a PC, you better make sure it is literally up to speed with what you will need to play the game smoothly and effectively. Both minimum and recommended configurations will require 50GB of hard drive space and a 512 KBPS or faster Internet connection. As for the recent beta, DICE said they got a lot of valuable feedback, which will mean changes to a few of the modes, according to lead world designer Daniel Berlin. The Conquest mode ticket system is being changed so that "capturing the objectives AND getting kills will both contribute towards the final score of a Conquest match." He also said they are tweaking Rush mode, although he wouldn;t offer any specifics. The will also be weapon and vehicle balancing, including a nerf to the Light Tank and making horses a bit less resilient to weapons fire. The team will also be looking to give players more items to deal with vehicles earlier in a match, including a gadget for the Support class. 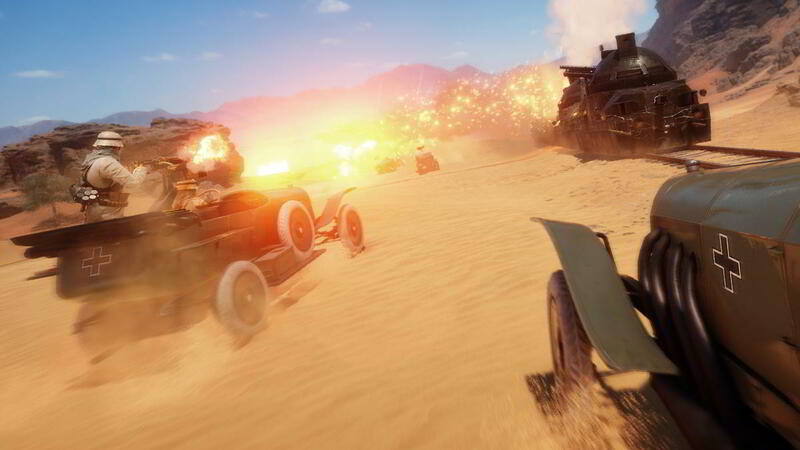 Battlefield 1 is scheduled to release on PC, PS4 and Xbox One on October 21. Why even put cpu requirements on pc games any more??? It never makes any sense and is usually completely inaccurate. Pretty silly. The beta performance on my 2500k at 1080p and ultra settings was great. Was using a 970 at the time. I have a i7 3770K clocked at 4.2 Ghz. I also have a 3770k @ 4.2 and the beta, when I ran it for 15 minutes, ran perfectly well. I have the same CPU but not over clocked. It ran BF1 really well with the 1080. Steady 60 fps. I played the beta on an OC'd i7 920 and a 1080GTX and it was smooth as ice. I played the beta on an 2014 Alienware Alpha (Core i5 model ) and it ran at a completely satisfactory level of performance. System requirements these days only give you a vague benchmark of what you'll need to run the game. And I blame Intel, Nvidia, and AMD for the confusing nature of system requirements more than the developers. They have the 9+1 maps listed on the official site finally. Not much info beyond a name and blurb and single small screen. Including the new mode, War Pigeons. Yep. So capture the flag with pigeons and high explosives. It's too bad the nuFrostbite engine only added worthwhile improvements to graphics and sound. All other problems and behaviors will persist. Also, I HATE that I have to launch BF1 before I can see the server list and/or deteremine where all my friends are playing so that I can join them. Love or hate Battlelog but, it was infinitely better when you could check servers and the players from a browser rather than launching the game. Once you e gotten used to battlelog it's definitely a downgrade going back to an in-game browser. I never really minded queuing for a favourite server when I could do other things in the meantime and the browser would just launch the game when ready, but now you have to launch the game and sit there in a full screen window to wait. You can still alt-enter to flip it to windowed mode then hit it again to go fullscreen when the match is loaded.